We hate spam. Your email will only be used to send you updates on our products or training methods and discount codes. We never sell or give your email to anyone else—ever! Core JKD Knife Brace Defense and Standard Knife Defense from MingCJKD on Vimeo. Core JKD Knife: Stab and Grab Defense from MingCJKD on Vimeo. 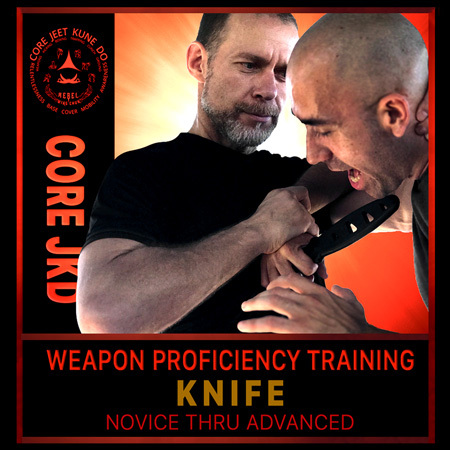 The Core JKD Knife Proficiency Self Defense Training video series is here. Wow, the knife trapping and finishing is great! Very clear audio and visual. Looking forward to next training session. This is one of the only distance training series I actually feel like I'm improving from by participating in. 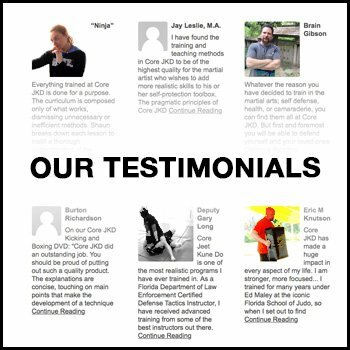 Newsletter subscribers to Core JKD will receive a purchase code for 50% off the price until the remainder of Nov.
Got the Core JKD DVD in 2003 and found it to be very informative and practical. I was pleased to find Core JKD on YouTube a year ago to start training again and excited to join the member site to become a group leader. I have studied a few different martial arts and did not find a complete system that covers, stand up and ground fighting, conditioning, sparring, weapons and training against resisting attackers-something that many systems fail to do. I also like that Ming showcases his female students in his videos since I train with women in our group! If you are looking for a complete self-defense system, look no further than Core JKD to protect your self! 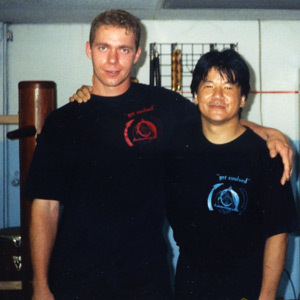 I started training with Shaun (Ming) right after moving to the Tampa area in 2003. 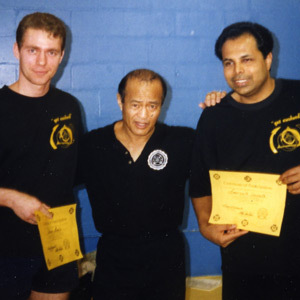 I had trained with many teachers previous to this and recognized Shaun's martial art skills and ability to teach those skills to others. 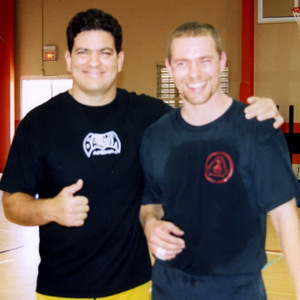 Unfortunately, my job required constant travel, and I was not able to keep up with my training in Core JKD without Shaun's input and guidance. Now, years later, after finding and training with the CJKD member site, the spark has been re-ignited. The lessons are clear and precise (through years of fine-tuning by Shaun and his assistant instructors). Fundamentals, attributes, drills and even example classes are available on the site. This is definitely the best online distance training program I've come across. 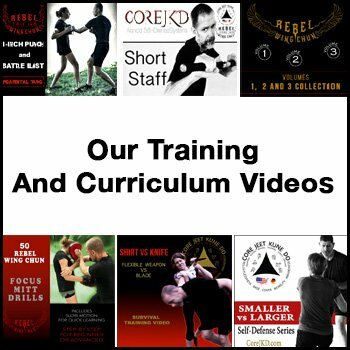 I highly recommend it to anyone looking to learn the best self defense in all ranges, weapons, and conditioning training in a progressive and entertaining way.